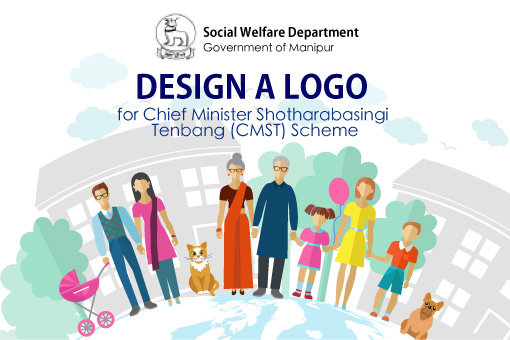 Social Welfare Department calls for a design competition for Logo (with motto) through public competition for the development of identity and promoting the main values of the scheme. Accordingly all citizens (Professional artists/agencies and Non-professionals) are hereby invited to participate in a competition for design of the logo. The Designer of the finally selected 3(three) designs will get a prize of Rs. 10,000/-, Rs. 5000/-, and Rs. 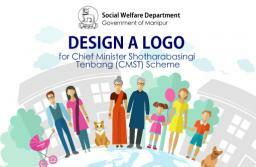 3000/- and would be required to surrender copyright of the design to Social Welfare Department. 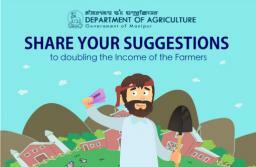 Total Submissions (	6) Approved Submissions (0) Submissions Under Review (6) Submission Closed. 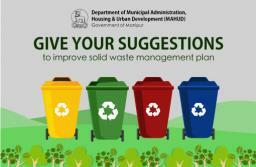 © Content owned, updated and maintained by the Manipur MyGov Cell. MyGov platform is designed, developed and hosted by National Informatics Centre, Ministry of Electronics & Information Technology, Government of India.